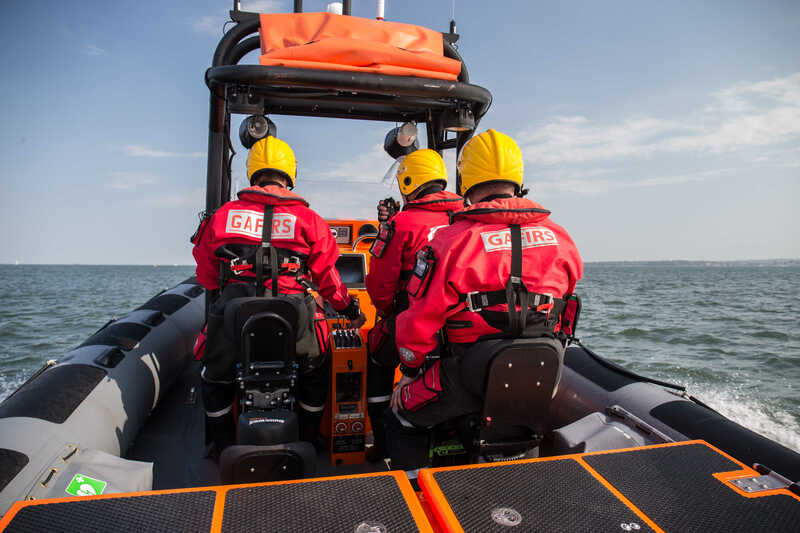 Gosport & Fareham Inshore Rescue Service was called into action on Saturday (March 12) to help a stricken vessel that had become trapped on a buoy in the Solent. The yacht – which had four people on board – had fouled its keel on the buoys ropes, just inside the busy shipping channel into Portsmouth Harbour. Gosport’s voluntary lifeboat crew was soon on the scene after the alarm was raised by UK Coastguard. A lifeboat crew member boarded the casualty vessel and attempted to free the buoy, which had become trapped on the yacht’s keel. GAFIRS coxswain Brian Pack said: ‘At first we attempted to tow the vessel free, but this didn’t have the desired affect. However, one of my crew was onboard the casualty vessel and used a boat hook to push the large buoy under the keel and free it. Earlier on Saturday, GAFIRS crew were on routine patrol in Portsmouth Harbour when they spotted a small yacht which had run aground at Whale Island. Upon closer inspection it transpired the boat was derelict, but insecurely moored. Working alongside UK Coastguard shore teams, GAFIRS crew secured the vessel to stop it floating away and into the paths of other vessels.